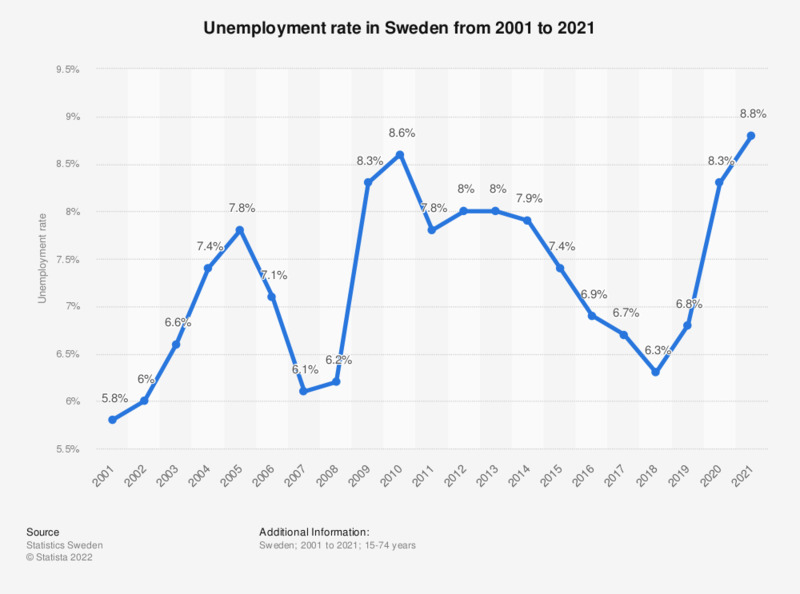 This statistic shows the unemployment rate in Sweden from 2008 to 2018. The unemployment rate has been fluctuating over the years, but declining since 2013. In 2018, the unemployment rate was down at 6.3 percent.